Below you will find a list of our product flyers, installation guides and technical specifications regarding some of our products. Please feel free to click on the links below for more information or give us a call at 772-646-0597 to discuss your erosion control requirements. 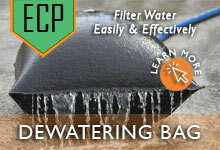 Florida DEP Stormwater Inspector Training now Available through GEI Works! Read more here. 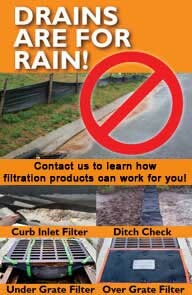 Our variety of erosion control resources is your one stop education shop for all things erosion! The best defense we have against erosion is knowledge. Don’t let your knowledge erode! Soak up the ins and outs of controlling erosion and product solutions used. Erosion occurs everywhere, and while the basic concept of erosion is the same in every application, it has unique characteristics. Some product solutions will work better in certain applications over others. Learn all about the types of erosion and how they are all slightly different from each other. Causes and effects will also vary, depending on the type of erosion taking place. Learn about the different causes, accelerating factors, end results, and ways to prevent it. 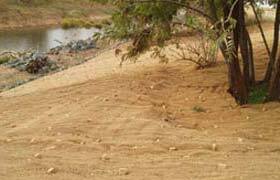 The final erosion control resource category we offer is on the topic of geotextiles. The selection of subtopics covers areas like selecting the best type, the functions, manufacturer comparisons, as well as DOT and AASHTO information. Dig in and become an erosion control “expert” today!